Elevation available? Let gravity do the work. John. F Kennedy said: ”If we could produce fresh water from salt water at a low cost, that would indeed be a great service to humanity, and would dwarf any other scientific accomplishment.” Now, we can do it sustainable. We developed the world’s first solar powered reverse osmosis without batteries. The best thing: it works 24 hours a day. 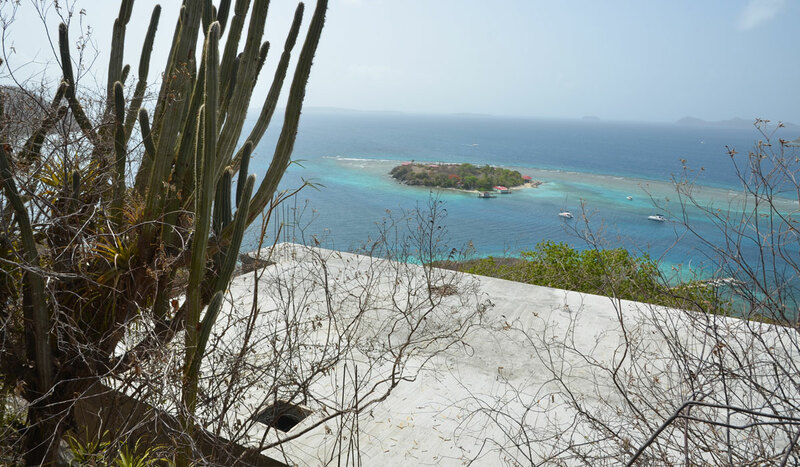 Our off-grid reverse osmosis technology directly uses solar, wind or wave energy to fill a buffer tank on a hill with seawater. Using the natural force of gravity, the reverse osmosis process receives its required feed: pressurized seawater. We make sure the salt water buffer always contains water for constant fresh water production, resulting in very low cost of water. 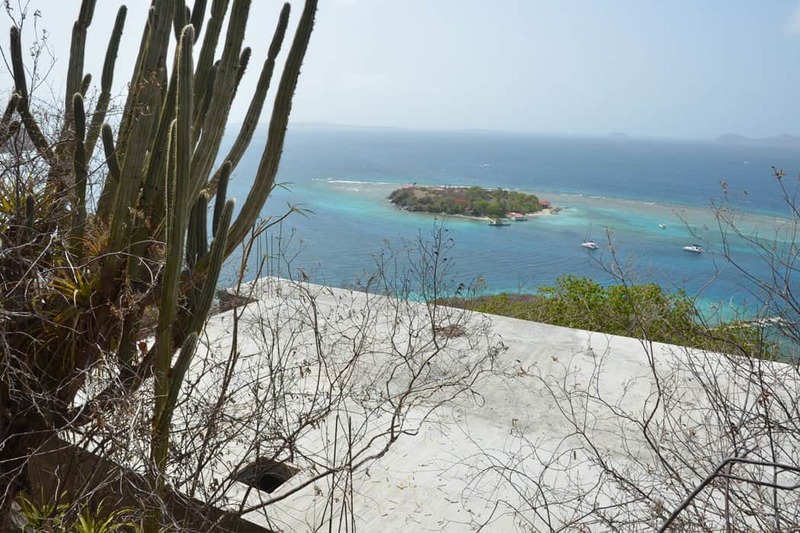 Then comes the crucial step: the waste energy of the reverse osmosis process is re-used to reduce the required elevation with 80% to 90 m or 290 ft for seawater. 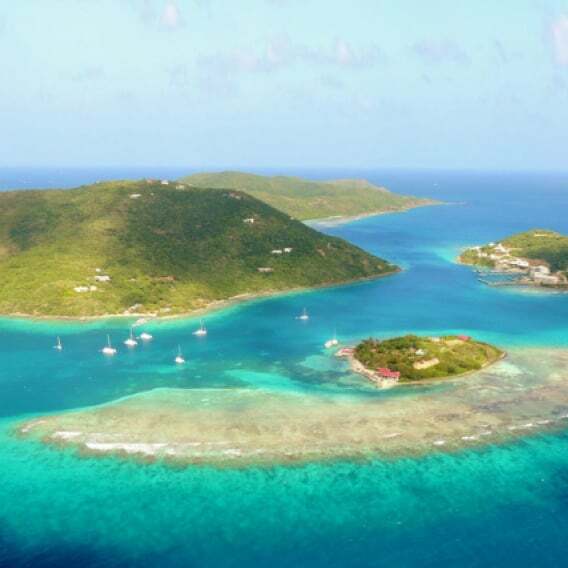 This means unlimited sustainable water from abundant resources for islands and coastal regions. Freshwater scarcity: not anymore. We use the forces of nature at its best for an independent guilt-free water supply. By avoiding energy conversion losses, batteries & complex maintenance, savings up to 70% of the water expenses are possible. The bigger, the better, as water generation cost come down with size of production. Sizes of the solar reverse osmosis technology start small and go up to millions of liters of clean water production per day. Explore how it works by clicking on the components. Either PV panels or wind turbines or wave energy can be utilized, or a combination hereof, depending on the local situation. The footprint is determined by the source water salinity and the daily required fresh water production. 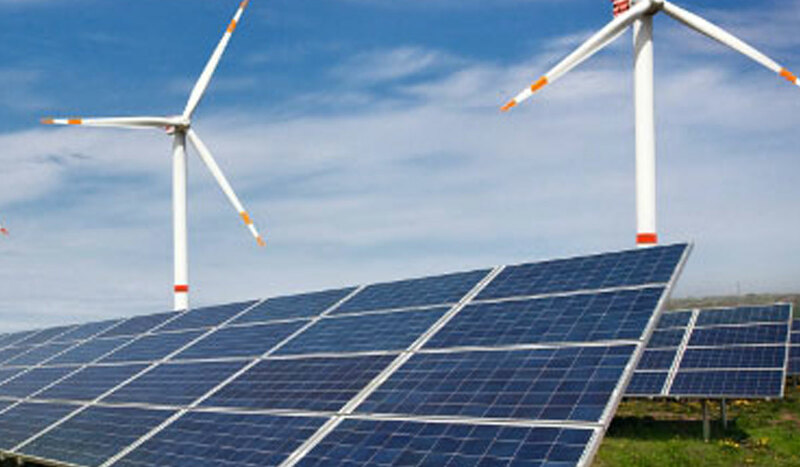 The renewable energy sources will be placed at a suitable location of your preference. When renewable energy is available, the energy is directly converted into water displacement by the pump. 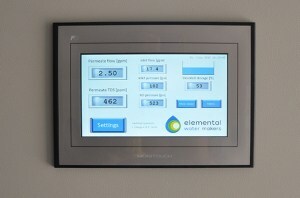 There is no electricity source required, making the system suitable for off-grid applications. 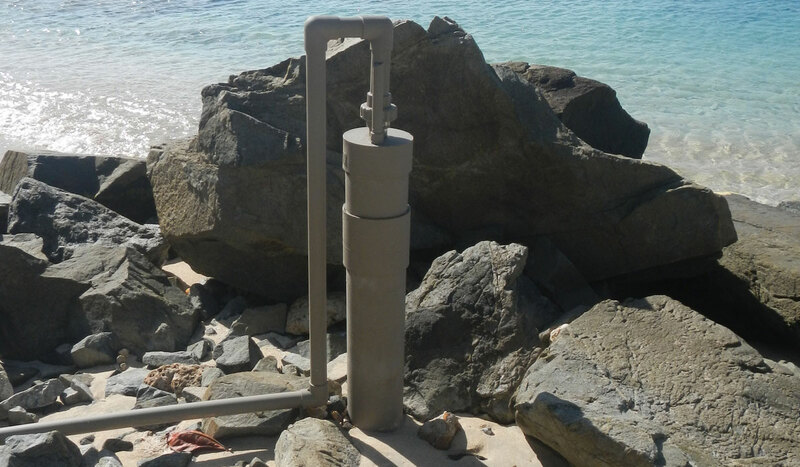 The source water intake can be realized through a beach well, open ocean intake or borehole. During the design process, we make sure to avoid visual impact and disturbances of the marine environment. 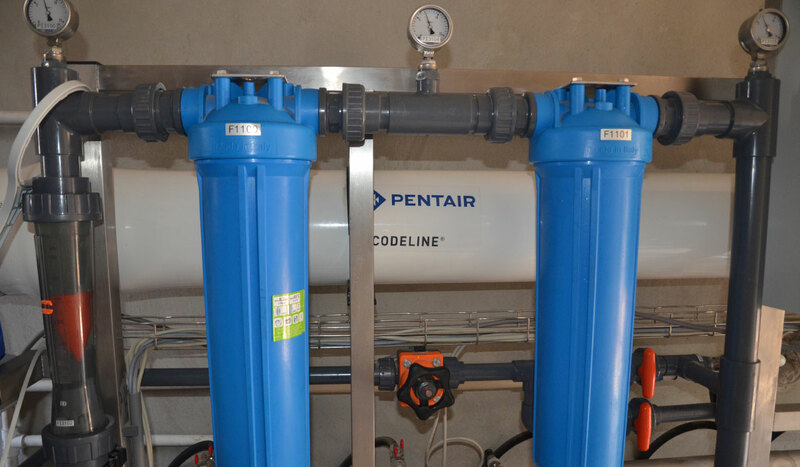 The salt-water resistant pump displaces the source water towards the elevated water buffer and the reverse osmosis process. Through the combination of the controller and pump, the energy generated by the renewable energy source is very efficiently converted into pumping motion. The pump speed varies depending on the availability of the renewable energy source. It requires no auxiliary energy source and is very low on maintenance. The pump, elevated water buffer and water treatment plant are connected through one pipeline. Part of the displaced water flows to the elevated water buffer, to cover the periods lacking renewable energy sources. When renewable energy sources are not available, meaning there is no pumping motion, the flow automatically reverses direction by gravity. A constant flow of salt water travels to the water treatment plant. The size of the pipeline depends on the daily required fresh water production. 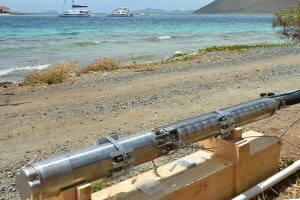 Friction losses are negligible by using smooth pipes, either of HDPE or PVC. This means that it is possible to cover large distances between the pump, elevated water buffer and water treatment plant. The piping can be placed underground to avoid visual impact and will be arranged according to your preference. The salt water, which is displaced upwards in periods with sufficient renewable energy sources, is stored inside the elevated water buffer. For periods with limited renewable energy sources, in case of solar panels when thick clouds cover the panels or during the nights, the water buffer will provide the required pressure to drive the water treatment. 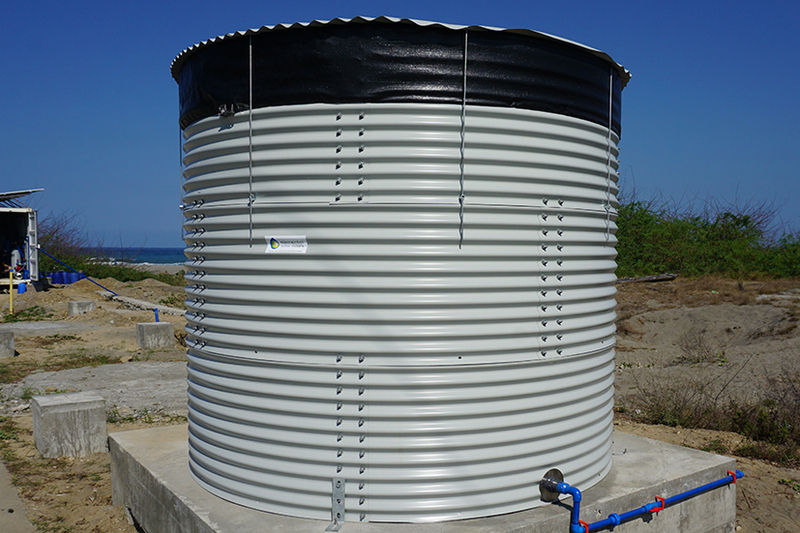 The elevated buffer can be created as a corrugated galvanized steel tank, including a bladder lining, suitable for coastal environments. 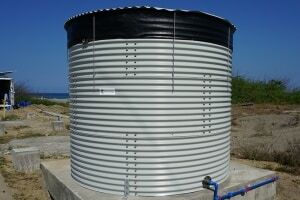 An alternative is to create a cistern tank of concrete suitable for salt water storage in any dimension. By customized solutions, it is possible to limit the area required to realize this form of energy storage. Unlike batteries, the water buffer has a long lifetime and does not involve energy conversion losses. The elevation difference required between the water treatment plant and the elevated water buffer is determined by the source water salinity. For seawater with a Total Dissolved Solids (TDS) value of 35.000 ppm, approximately 90 meters ≈ 295 feet is required. For brackish water with a TDS value of 5.000 ppm, approximately 50 meters ≈ 165 feet is required. To remove large particles, cartridge filtration will be used. Additional pre-filtration might be required, depending on the source water quality and the source water intake. Optimal pre-filtration design will maximize the lifetime of the reverse osmosis membranes and ensure proper fresh water production. 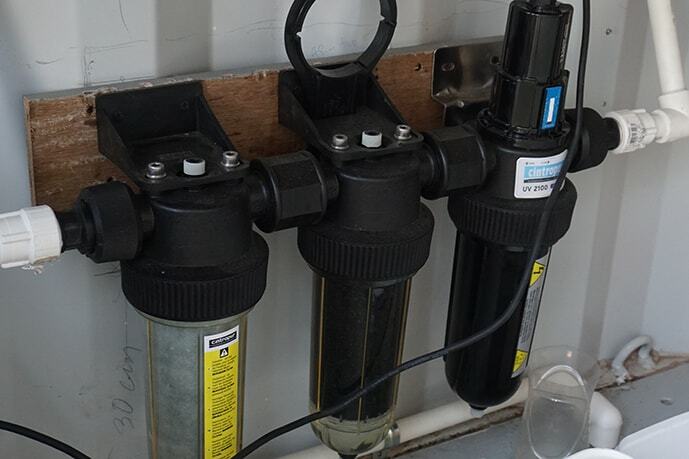 The Reverse Osmosis (RO) process removes all salts, contaminants, viruses, bacteria, cysts etc. down to a size of 0.0001 micron without requiring chemical treatment. The reverse osmosis filtration technology is based on a multi-layer membrane which filters the water under high water pressure. The technology is suitable for seawater and brackish (ground) water and works by applying pressure on the saline water in the semi-permeable membrane. This pressure is delivered by the energy recovery device. The reverse osmosis process has two exit flows: one containing the fresh water and the other containing the slightly salter water. This concentrated flow is still under 97% of the working pressure. The pressure of the concentrated flow is re-used by the energy recovery device to reduce the required amount of elevation significantly. 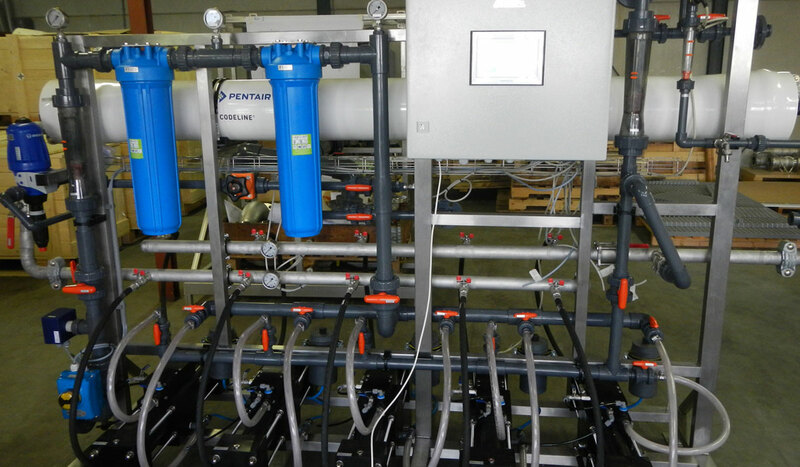 Because of the elevated water buffer the reverse osmosis process will constantly produce freshwater. 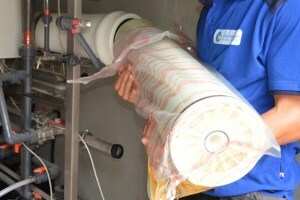 This constant operation expands the membrane lifetime considerably. The fresh water flows towards the fresh water storage tank. In between it can be post-treated when required. The water can be re-mineralized to increase the water quality and the water can be made suitable for lengthy periods of storage. 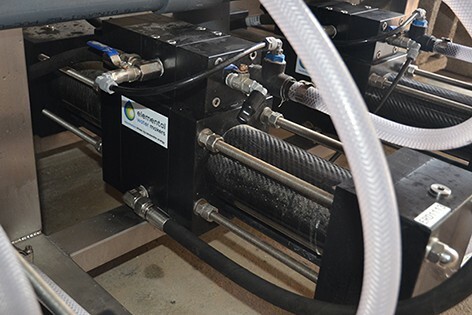 The pressure of the concentrated flow of water is used to increase the pressure of the incoming flow of salt water going towards the reverse osmosis process. 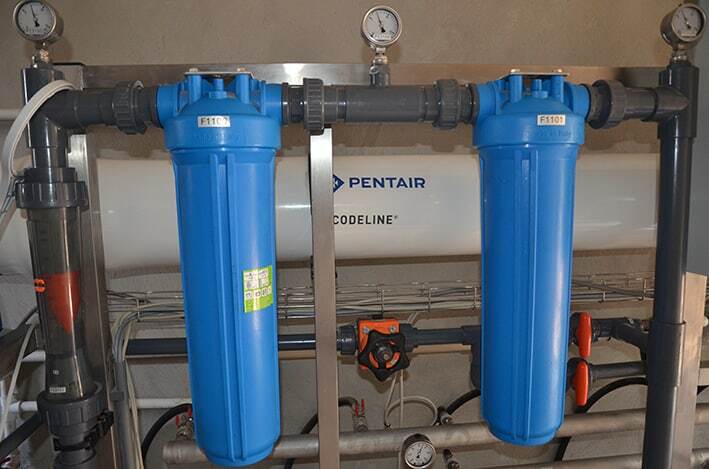 By combining the pressure of the elevated water tank and of the concentrate flow, sufficient pressure will be delivered to purify the saline water. 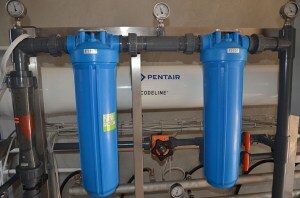 The combination of the energy recovery device and reverse osmosis process ensures a constant production of fresh water. The energy recovery device does not require any auxiliary energy and is a pure mechanical device. The produced fresh water is ready to be used directly. As water demand usually fluctuates, the water can be delivered into a fresh water storage which is connected to the distribution system. The fresh water can also be transported over large distances to reach the end-user. Depending on the intended use of the water, we can make sure it will meet all quality requirements. Desalination without a carbon footprint. The solutions can be designed for any requested water production. We provide containerized units for plug and play installation, or integrate separate components to your preference into the (existing) infrastructure. Gravity reference: British Virgin Islands. 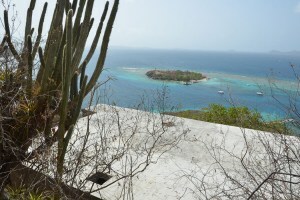 Private retreat enjoying solar-powered desalination using gravity. 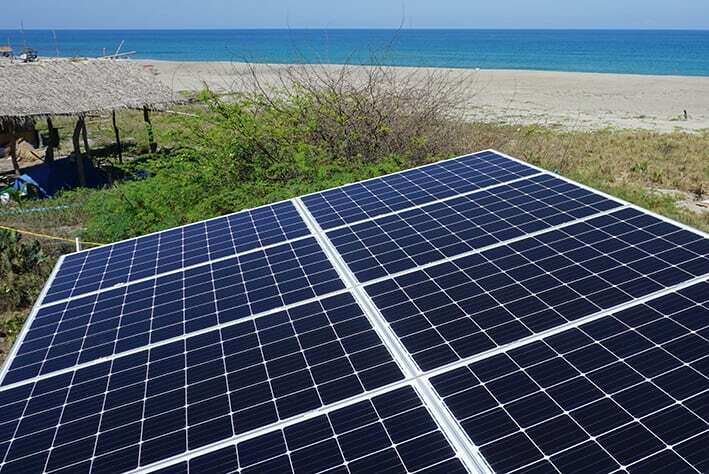 We select solar panels to be highly resistant to corrosive environments from mature suppliers. Supplied with 25-year linear power warranty. A fixed field frame or roof-mounted on a pitched roof or flat container, we make sure the frame meets the local wind loads, face the right angle for optimal performance and is corrosion resistant. Most pumps have to be replaced yearly when used in salt water. We believe in quality and reliability and work with efficient variable pumps who can withstand (which are suitable for) warm seawater applications, such as Titanium or 904L pumps. To avoid frequent membrane replacement, the pre-treatment will be designed for your site-specific situation. This can involve sand filtration, cartridge filtration and more. Stress-free operation is ensured by remote monitoring, control and automation. By operating the membranes continuously 24/7 frequent replacement is avoided. If the unit does need to be shut-down fresh flush can be easily performed to allow for optimal membrane preservation. High-efficiency desalination (< 3 kWh/m³) is enabled by re-using the brine pressure, even for small-scale production. 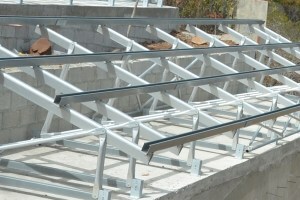 The energy recovery systems are constructed from non-metal materials to avoid any form of corrosion. 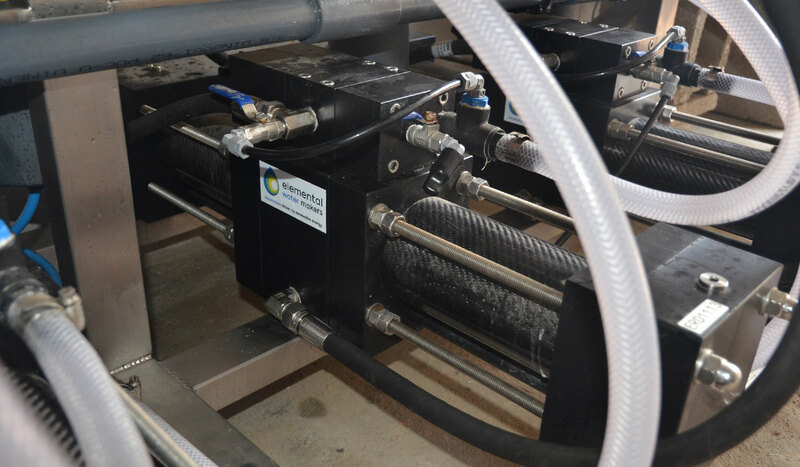 To meet your specific applications, we can add fresh water treatment steps to the system, for example, remineralisation, UV treatment before end use or preservation dosing to make it suitable for longer term storage. Depending on your preference the elevated buffer tank can be constructed from concrete, build as a basin or we can use highly corrosive resistant modular tanks with bladder liner that can easily be shipped on pallets and constructed on-site, requiring only a ring of tiles, instead of an entire concrete foundation. We can include high corrosive resistant modular tanks with bladder liner that can easily be shipped on a pallet and constructed on-site, requiring only a ring of tiles, instead of an entire concrete foundation. 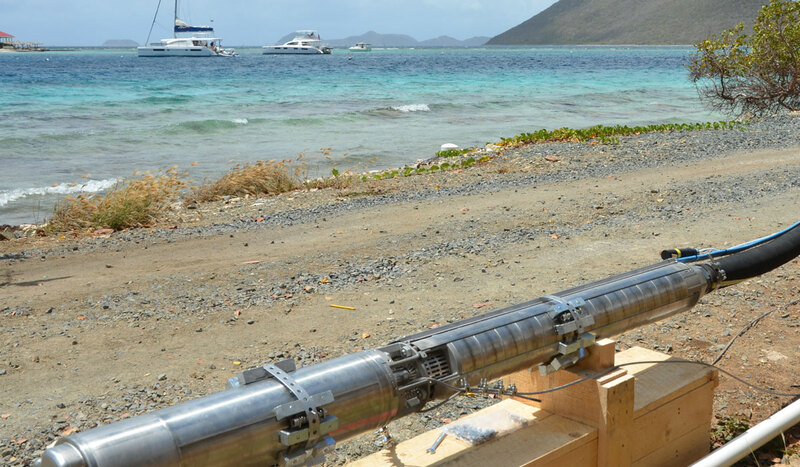 HDPE pipe is our preferred material for long distance pipe sections as it’s able to withstand high pressures, salt water, offers flexibility to be placed in bends and withstands forces from outside. 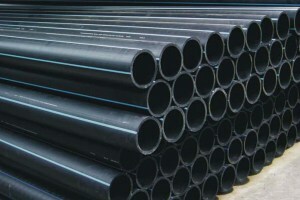 The pipe materials can both be sourced locally or shipped in. The units are equipped with internet-based monitoring for remote control and alarm messaging. Check in on your water supply, anywhere, anytime. Example case of solar RO by gravity. A resort cutting water expenses using solar desalination. 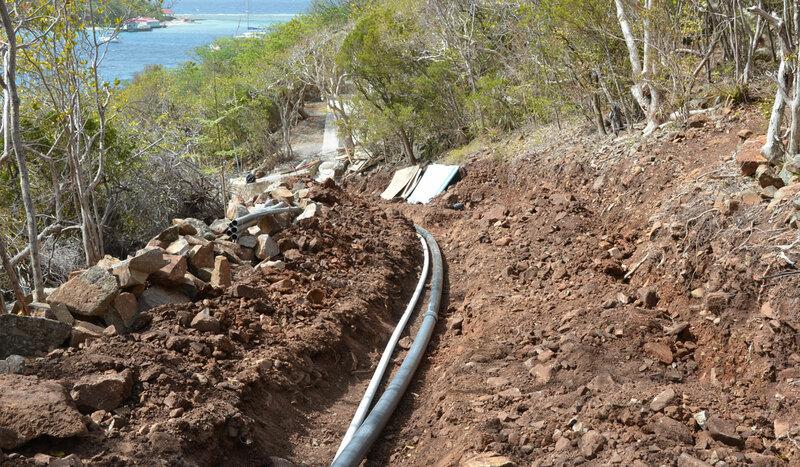 The resort receives its piped water from the island public utility company and faces a commercial rate of 5 $/m³. With a consumption of 50 m³/day, the water expenses weigh heavily on the resort’s operational expenses. Some days, there is no water available and some days, the quality doesn’t meet the high resort’s standards. Enter Elemental Water Makers. Through investing in the solar reverse osmosis gravity-assisted solution, 70% savings on the water expenses are enjoyed, resulting in over 1.100.000 $. The solution’s payback is within 4 years. 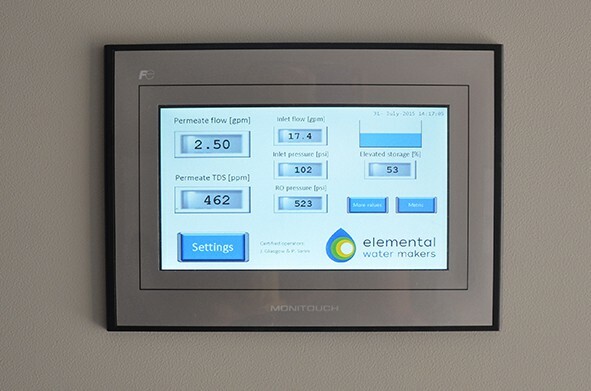 Besides these financial savings, the resort has become independent on the availability and price of energy, provide high-quality water to their guest, save 100 ton CO2 per year, enjoys stress-free operation & remote monitoring and offer their clients a sustainable experience. Assumptions: costs including installation and training | Yearly inflation of 2% | Local water price is 5 $/m³ | Water intake available | Financial lifetime 15 yrs | Technical lifetime >20 yrs | OpEx include consumables, spare parts and membrane replacement. Over $1,000,000 in total savings.